Fellowship Dinner at 6 PM, $3.00 per person. Isn’t it true that we long to see the extraordinary, experience the extraordinary, do the extraordinary? Yet, so often we settle for mediocrity when greatness is within our grasp. Why are we drawn to stories of heroic triumph over seemingly impossible circumstances? In our fascination with adventure movies, superheroes, and tales of incredible human feats, do we reveal an inherent desire for something larger and greater in life? 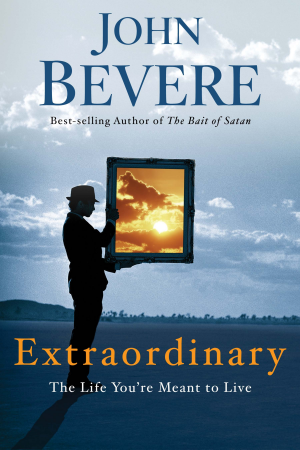 Maybe what we think is a need to escape or be entertained is actually a God-inspired longing…for the extraordinary. Best-selling author John Bevere reveals how all of us were “meant for more,” extraordinarily created and intended for a life that is anything but ordinary. Here is the roadmap for your journey of transformation. You are marked for a life that far surpasses the usual definitions of success or fulfillment. Isn’t it time to pursue your extraordinary life?